This was the fifth flight of the project and involved the participation of students at Kiruna Space and Environment Campus togheter with pupils from Hjalmar Lundboms school and the space high school, Rymdgymnasiet. At left can be seen the gondola where the experiments are stored (click to enlarge). This time, a new innovative gondola was used to make both the launching procedure and interfacing between payloads easier. The main payload platform called E-GON its a light weight structure and was hanging in the end of the flight train. The BEXUS5 payload among with others such as Esrange's high speed data downlink system E-LINK were fastened on the floor of it. 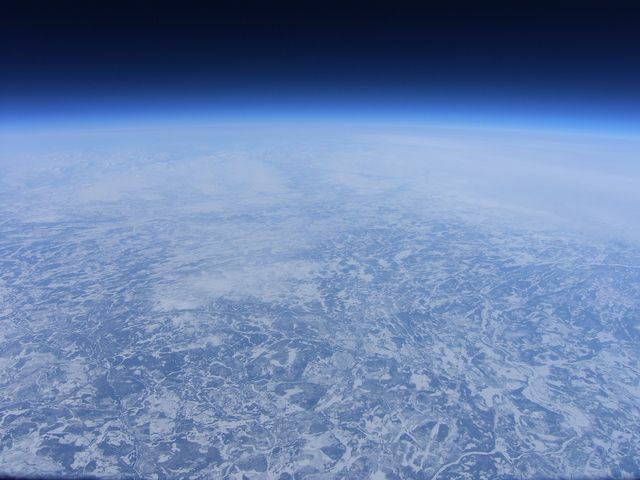 The balloon was successfully launched by dynamic method using launch vehicle from Esrange on March 28th with perfect weather conditions. After lift off, the balloon reached float altitude of 25 km wich was maintained for 2,5 hours to achieve maximum range for additional testing of the SSC E-Link system performance. The flight ended a bit east of Rovaniemi. ASDS (Attitude Sensing and Determination System) an attitude determination and sensing unit. The design is based on a 3-axis magnetometer determining the earth's magnetic field vector. 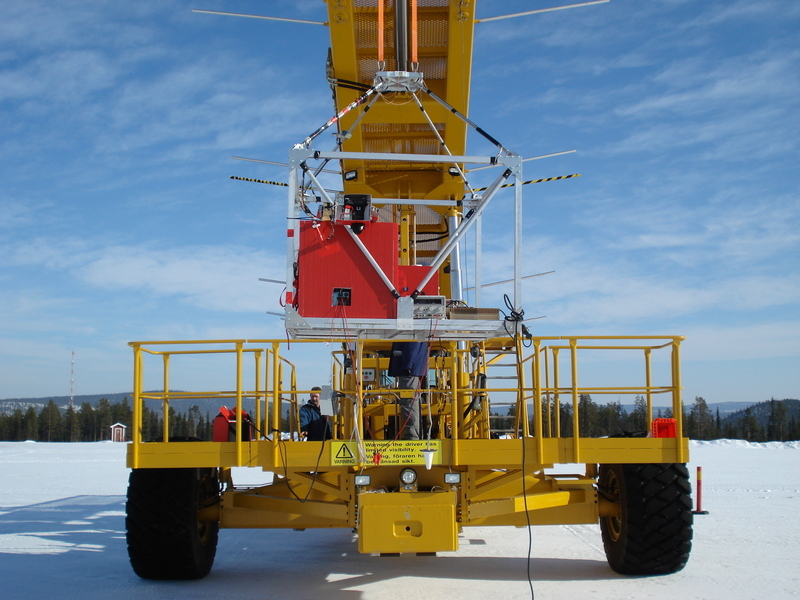 It is complemented by two 2-axis accelerometers based on MEMS technology sensing the forces acting about the gondola and determining the gravity vector. 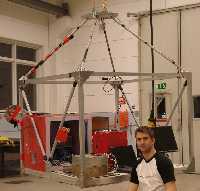 Furthermore a 3-axis gyroscope also based on MEMS technology is implemented to sense the rate of change thus combined with the accelerometer information the tilting of the gondola will be determined. The experiment transmits the data to the ground station and will be displayed in a 3D-software showing the whole flight path with the orientation of the gondola in realtime. FTC (Flight Trajectory Computation) it uses six 3-axis accelerometers positioned at different locations throughout the box. By using a designed Matlab algorithm these accelerometers can give the accelerating vector of the experiment as well as the rotational motion in relation to the center of rotation of the gondola. A digital tilt compensated compass is used to give the orientation of the box in relation to the earth's magnetic field. The compass is also equipped with a gyro that can be used to compare the actual rotational motion to the calculated one. The experiment transmits the data to ground but can also store locally. The data analysis will be done after the flight. MMSP (Multi Motif Stratospheric Photography) it use a 8Mpixel digital camera with a 4Gb memory card. The camera is mounted inside a protective aluminium casing with the ability to change it's direction of view by 180 degrees. It will store about 500 photos and 120 minutes of video during the flight and is remote controlled to run special photo routines at times of special interest such as launch and cut-off. PEM (Payload Environment Monitoring) four sensor cards will be placed on each side of the payload. Each sensor card contains a NTC thermal resistor and a photo transistor. The photo transistor keeps track of which sensor is exposed to sunlight and what influence that has on the temperature. The NTC is calibrated to record temperatures spanning from -80 to +80 degrees Celsius, +- 1 degree. The temperature and level of sunlight intensity is sampled each second and stored locally onto EEPROM memories on the motherboard for post flight processing. CANSAT (A satellite in a can) the CANSAT incorporates GPS measurements with temperature (+-2 degrees), pressure (+-6kPa to 0 degrees, temperature compensated below this) and humidity (+-3.5% RH) sensors. The sensor data is relayed to ground every fourth second and will be processed and used to derive atmospheric and meteorological data to predict cloud formation. The temperature data will also be used to calculate heat flux through the CANSAT structure and evaluate the quality of the insulation. This experiment come from the Würzburg University, Germany. ARSEX (Auroral Recording Sound Experiment) an experiment to made recordings of auroral sounds and the soundscape in the sub-arctic stratosphere using a handheld 4 channel mp3 recording device. This gives a total recording time of about 3 hours. Two channels are used for stereo recording inside E-Gon. The third channel has a VLF (Very Low Frequency) antenna and the last channel a regular microphone fastened a bit away from the payloads. experiment from the Space High School. Finally also was included sdveral passive experiments in a separate insulated box prepared by the Hjalmar Lundbom High School. 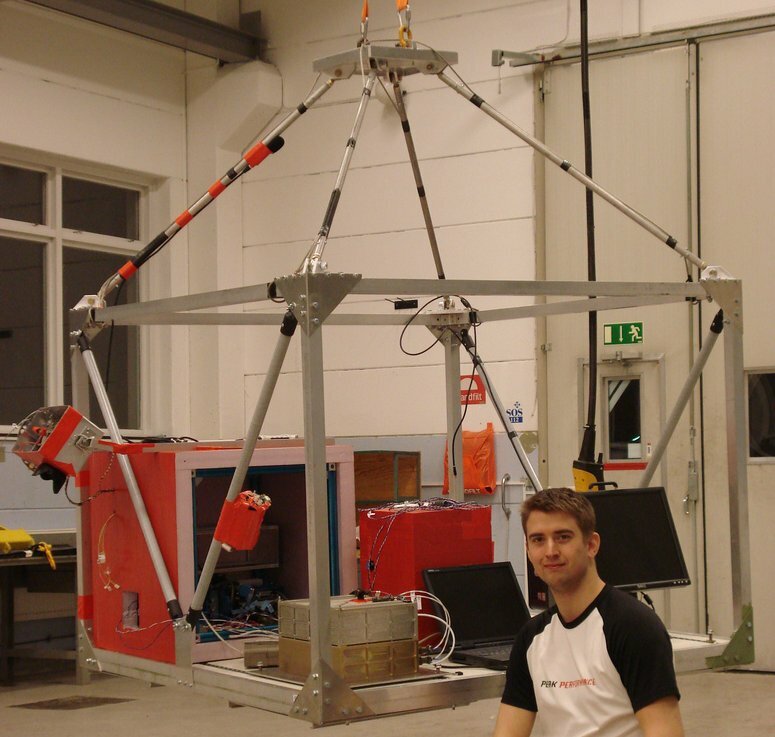 Qualification test of the E-Link system with maximum data load versus achieved flight range.